Paul Clement thinks victory celebrations should not antagonise defeated opponents as his Swansea side get set to welcome Premier League leaders Manchester City on Wednesday. Clement's comments came as the Football Association gave Manchester United and Manchester City until Wednesday to reply to a request for observations following reports of ugly scenes after City's 2-1 win at Old Trafford on Sunday. United are understood to have taken exception to the visitors' post-match celebrations and an altercation - involving up to 20 players and staff in the crowded corridor leading to the dressing rooms - is believed to have left City coach Mikel Arteta with a head wound. Pep Guardiola's side will create a Premier League record of 15 consecutive victories by winning at the Liberty Stadium, so it is possible that the music will once again be playing post-match in the City dressing room. "Emotions run high in games, but when away from home you should celebrate in an appropriate manner with your supporters," Clement said. "Then make your way back to the dressing room and enjoy it as a team there. "You don't way any unnecessary confrontation and conflict. It does happen, but you want to try and avoid it." Swansea's weekend win against West Brom - only their third in the Premier League this season - took them off the bottom of the table. But Clement accepts Swansea must defend at their best to stop opponents who are now 11 points clear at the top. 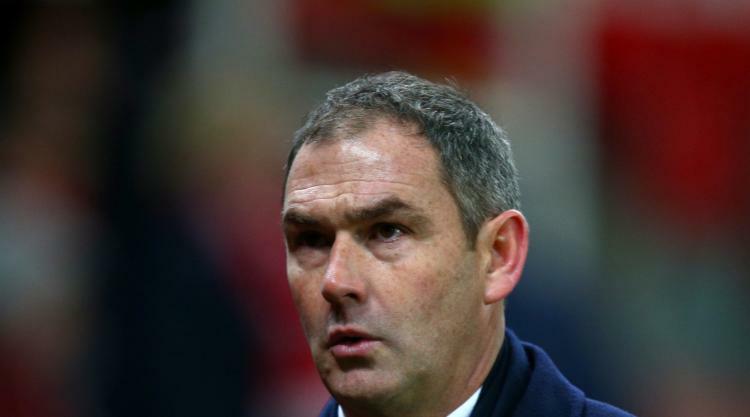 "To beat them you have to be absolutely spot on with your defending," Clement said. "When we went to the Etihad last season we were under a lot of pressure, but we managed to come in at half-time only one goal behind when it could have been a lot more. "In the second half we got higher up the field, got some more numbers forward and scored before they got a late winner. "We know we're not going to have as much of the ball as them, but can we create a couple of opportunities and make them count?" Swansea striker Wilfried Bony comes up against his old club for the first time since leaving City in a £12million deal at the end of August. Bony managed only 10 goals in 46 appearances during a two-and-a-half year spell at City, which was plagued by illness and injury. But the Ivorian has scored in his last two games since shaking off early-season injury problems. "I asked if he wanted a rest for this game, and you can imagine the reaction that I got," Clement said. "His motivation is high - 11 out of 10. I think he feels it is a part of his career where he did not get to the level he wanted. "He has a point to prove to lots of people and, step by step, he is getting fitter and sharper and the goals are starting to come."